Fosbury, the world’s first end-to-end tool for designing, distributing, and managing iOS Passbook campaigns, announced the company’s public launch today. Fosbury is an easy-to-use web app that allows companies to quickly set up beautifully designed Passbook campaigns in minutes, distribute them to all relevant platforms including Facebook, Twitter, e-newsletters and websites, and track their performance through a real-time analytics dashboard. 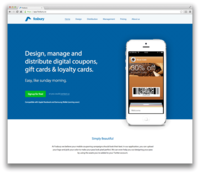 AMSTERDAM – March 27, 2013 – Fosbury (http://www.fosbury.co), the world’s first end-to-end tool for designing, distributing, and managing iOS Passbook campaigns, announced the company’s public launch today. Fosbury is an easy-to-use web app that allows companies to quickly set up beautifully designed Passbook campaigns in minutes, distribute them to all relevant platforms including Facebook, Twitter, e-newsletters and websites, and track their performance through a real-time analytics dashboard. The Fosbury tool offers a simple one-stop shop for Passbook campaigns that helps brands activate and engage with their user base through existing channels using a pay-as-you go model – with no subscription required. Design: Brands can easily design their own passes using a template based on their company’s available Twitter assets. 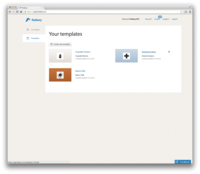 Simply fill in any Twitter user name and create a beautifully designed pass in seconds. Users can also upload their own images, pick the color of their pass, and choose their text color. 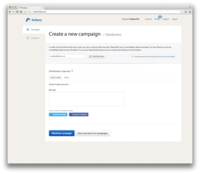 Campaign management: Set up a new Passbook campaign in three easy steps with details, notifications and distribution. 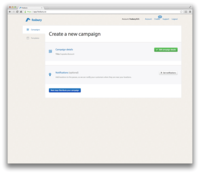 Simply choose your template, fill out your campaign name, and set the number of passes you want to create. 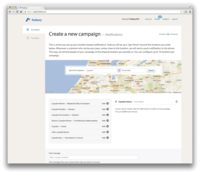 Each campaign receives its own description, and additional information including a barcode can be added. Brands and retailers can also search for and add location-based notifications based on the whereabouts of the Passbook user, and then send them push notifications once the consumer reaches one of the dedicated locations. Passbook campaigns can also be connected to the brand’s Facebook and/or Twitter accounts to post the pass directly to these platforms, or they can download HTML-code to include an “Add to Passbook” button on their website or in their e-newsletters. 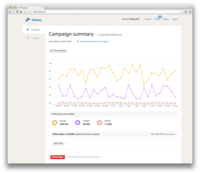 Campaign tracking and analytics: Once a campaign is distributed, a brand can easily track the number of passes that have been opened, installed and deleted. 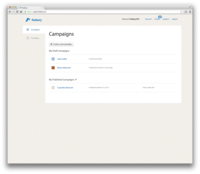 They can also add credits to a campaign and see how many credits have been used to date. 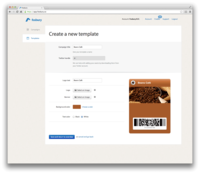 Learn more about creating, distributing, managing, and tracking your own Passbook campaign today at http://www.fosbury.co. Fosbury (http://www.fosbury.co) is the world’s first end-to-end tool for designing, managing and distributing iOS Passbook campaigns. Our easy-to-use web app allows companies to quickly and easily set up beautifully designed Passbook campaigns in minutes, distribute them to all relevant platforms including Facebook, Twitter, e-newsletters and websites, and track their performance through a real-time analytics dashboard. Fosbury is the simple one-stop shop for Passbook campaigns that helps brands activate and engage with their user base through existing channels – with no subscription required. Founded in December 2012, Fosbury is a privately held company based in The Netherlands. Follow Fosbury on Twitter or learn more at http://www.fosbury.co. 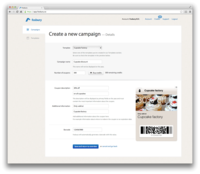 Fosbury is the world’s first end-to-end tool for designing, managing and distributing iOS Passbook campaigns. Fosbury, the world’s first end-to-end solution for designing, distributing, and managing digital wallet campaigns, announced support today for Samsung Wallet, and simultaneously released an enterprise-class API and three SDKs to further help companies build relationships with connected consumers. Fosbury enables brands to easily create beautifully designed, large-scale digital wallet campaigns in minutes, distribute them to all relevant platforms and manage their performance.